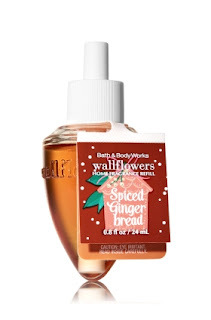 ...this fall has been Bath & Body Works' Warm Apple Pie. When they had it on sale, I bought as many of those little Wallflower plug-ins as I could stuff in a bag because I knew they would be gone quickly. Normally, I'm a Sweet Cinnamon Pumpkin kind of girl, but for some reason I thought I would change things up a bit. ...and will be heading to the store in the next few days to see if they have one available. Isn't he adorable??!! I already have one of him in silver, but think the gold will be a nice contrast. Well hellooooooo my friend. Good to see a post from you in blog land. Missed you. Hope all is going good. Hi Kris! I've missed you also and hope to be back into the blogging swing before too long. I've got a lot of catching up to do to find out what is going on with everyone! Hope all is well with you also and I will be visiting soon! Love and hugs to you!! What a nice surprise to see you again! I want that little deer...I love him! I am picky about scents so I stick with pine or peppermint for Christmas. Boring! YAY!! It is my buddy!! Looking forward to hearing more from you my friend. Hey girl! I sent you an email a little bit ago...so looking forward to catching up! Love and hugs to you!! Thank you so much! I missed you all also! Have a great day! What a nice surprise to see a post from you, Benita! Looking forward to seeing more! Thank you so much! Hope you are doing well, I’ve missed you all! I hope to get back into a regular routine before too long! Love and hugs to you!! LOL...you are so sweet! I really like all of you also and have missed everyone terribly! I'm hoping to get back into a routine before too long. YES, I LOVE Nothing Bundt Cakes...I could eat them every day!! And it is so hard to pick a favorite flavor...YUMMMMM...see, now I may have to go up there when I go to B&B and get some....melt in your mouth delicious!! :-) Love and hugs and it is so great to hear from you!! Well look at you! I figured you were back when I saw your comment. Hope this means you'll be getting back in the saddle soon. You've been missed! 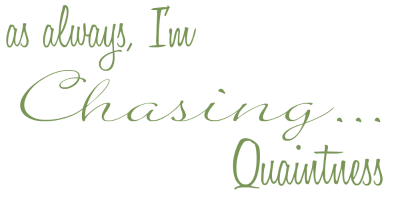 I am definitely working on getting my groove back for blogging...LOL I've missed you all also...very much! Love and hugs!! I'm so glad to see a post from you! Yippee! I love all the scents at B&BW. A friend recently gave me a hand soap called Japanese Cherry Blossom. I can't honestly say the name would have rung out to me to even smell it but man, after I wash my hands the bathroom smells intoxicating!! I'm going to see if they have a plug in for that!! Thank you so much! I’ve been away far too long and have missed everyone so much!! I went to the B&B yesterday and picked up some of my Tis the Season...disappointing, I know…LOL. But I did buy a couple of the Spiced Gingerbread. :-) I saw the Japanese Cherry Blossom…it smells wonderful!! Love and hugs to you! Benita! I'm so happy to hear from you. Sounds like you have been very, very busy. Looking forward to catching up! I've missed you. :) xoxo, T.
Thank you so much! Life has been a little insane, but hopefully we are getting back on track! I'm looking forward to it also and I've missed you all so very much! Love and hugs to you!! Just this past month I had my little pumpkin-scented sachet out and was thinking of you! B&BW's Holiday Pear was always my favorite fragrance. It is the ONLY fragrance I can use in the house (limited basis, like after cooking fish or something, lol) that my husband can tolerate with his hyper sensitive system. Looking forward to your upciming posts! Awwww, that’s so sweet! Luckily, the hubster’s sense of smell is sort of dull so I can use just about anything. I’m the picky one…LOL Thanks so much Rita!! 3. With all that gingerbread spicy smell wafting through the air you had to go hijack a bakery of all their gingerbread! If you deny this I might wonder if you are lying but will know one thing for sure...you r a lot stronger than me cuz I know I would be drooling non stop with that odor-lious scent n would do just that! I don't get those yummy smelling scents, they just make me hungry so I banned them from my house. I have grapefruit spray so yay/ugh can binge all I want on that! It is either that or a Lysol cleaner scent plug in to trick people including self that I just cleaned the whole house n of course it was just on the list of things to do ...someday lol! Yup you r a much stronger woman than me! Either way I am glad u r making a comeback! Thanks so much girl….much love and hugs to you! I’ve missed you!! Looking forward hearing more from you. Thank you so much Jemma, it is good to be back! I'm looking forward to catching up with everyone...I've missed you all so much! Love and hugs to you! So happy to see you back. Looking forward to hearing about what you've been up to. Thank you so much! It was a quick one…the rest of them should have a little more meat and less fluff…LOL. Me too…they are so wonderful and warm…makes me feel all cozy! :-) Hey, don’t forget to send me the info…so looking forward to it! Love and hugs to you!! I agree...miss you too and am looking forward to getting back in the groove of blogging! Love and hugs!! So glad you are posting again... have missed reading your delightful posts that always make me smile. I thoroughly enjoyed our lunch together and am looking forward to many more.... mulling over the world, and the BLOG world. :) I am so happy we live near one another now. Welcome back to Texas. Thank you so much Judith, I missed you as well! Lunch was wonderful and I’m also glad we live close to each other…I so enjoyed chatting and hanging out for a bit! Looking forward to spending more time with you! Love and hugs! !